Hotel Dubrovnik is situated in Dubrovnik in the lovely Bay of Lapad, only 3 km from the historical city centre with very good local bus links. 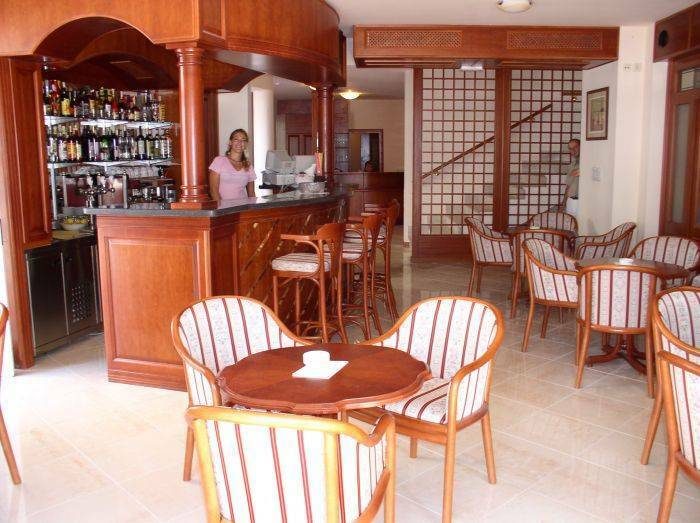 The hotel offers 22 luxurious furnished rooms and 4 suites, restaurant, aperitiv bar and Wi-Fi Internet connection. 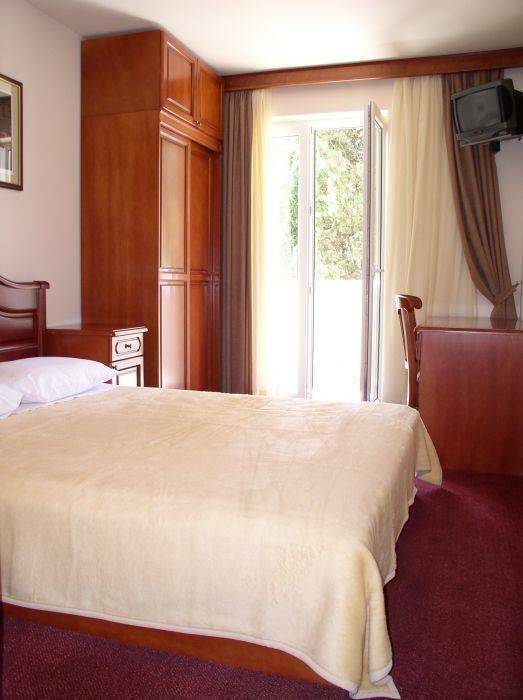 All rooms are with air-conditioning, balcony, shower/bath, radio, TV satellite and mini bar. In hotel's proximity there is sandy beach, tennis courts and picturesque alleys. It is possible to organize excursions to Elaphite islands, Cavtat and shrine Međugorje. 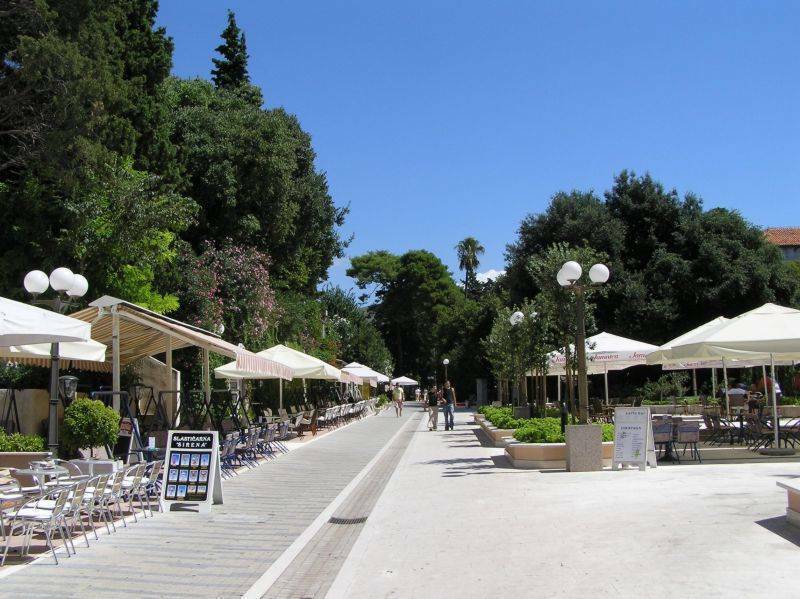 The hotel is situated in Dubrovnik, on the wooded Penninsula Lapad in the vicinity of the most beautiful town's walking area, nice sandy beach, tennis courts and other touristic facilities. It is 3 km away from the historical city center with very good local bus links. 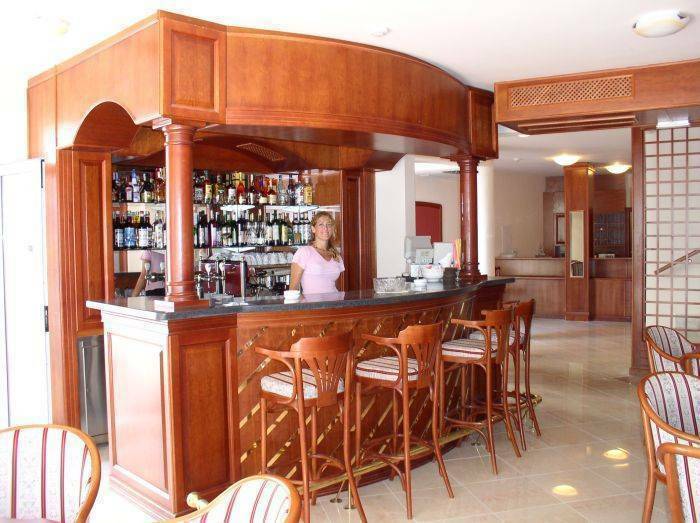 The hotel has 22 rooms and 4 suites, reception desk, TV room, caffe bar, computers Wi-Fi Internet connection, room service (7-22 h), parking place, restaurant with open air terrace offers rich choise of food. Near the restaurant is pattiserie. Every room is furnished in combination of classic and modern style each with air-conditioning and mini bar, SAT TV, telephone, internet, hairdryer etc. 1/4 bedroom / with two beds, living room with two beds, kitchen with dining room. 1/4 bedroom / wiith two beds, living room with two beds. 1/3 bedroom / including two beds, living room with one bed. The elegant board and à la carte restaurant offers a variety of local and international meat and fish specialities, and wine list will undoubtely meet your expectations. In the hotel' s proximity there are: tennis courts, water sports, beach volleyball, music attractions, souvenir/gift shop, rent a scooter, children playground and rich offer of boat and bus excursions. 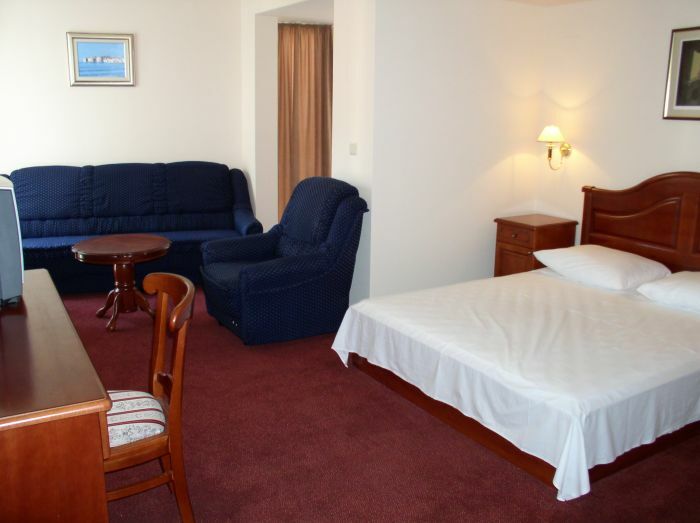 Every room is furnished in combination of classic and modern style, offering common amenities. 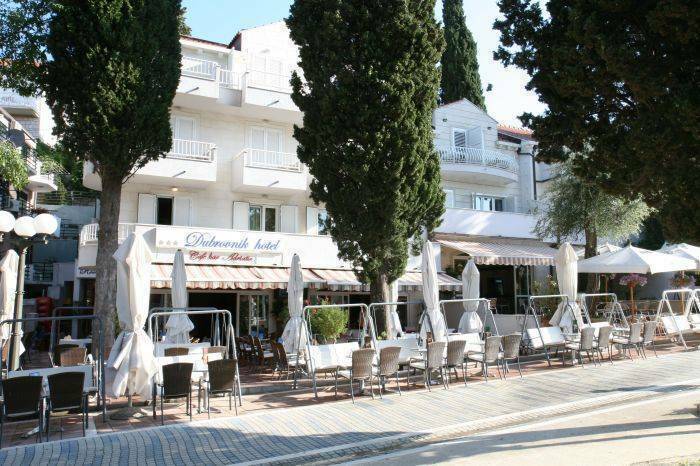 This three-floor hotel is located on Dubrovnik's wooded Lapad Peninsula, 50 metres from the beach and within 2. 5 kilometres of Pile Gate and the walled Old Town. If cancelled later or in case of no-show, the total amount will be charged. Dubrovnik International Airport (DBV): Approximate driving time to Hotel Dubrovnik is 30 minutes and distance is 20 kilometres (12. 5 miles). Getting there: Regular buses depart from the airport for Pile Gate in the old city. A single ticket costs �4. Bus number 6 then runs to Lapad where the hotel is located. Croatia Airlines also operates a shuttle to the main bus station near the Gruz port. Alternatively, a taxi from the airport direct to the hotel will cost around �30. All prices subject to change. Driving directions: From the airport follow signs to Dubrovnik. On entering the city head towards Lapad Bay where the hotel is located. Getting around: The historic old town and beaches are best explored on foot. Dubrovnik's city centre and environs are well served by buses and the main tourist area is pedestrianised. The Elafiti Islands can be reached by ferry or water taxi from the port.